Originally the partnership of Shepherd, Rothwell & Hough, this company dated back to 1872. They made a variety of products including phonograph parts for Thomas Edison, bicycles, sewing machines and ticket punches. In 1896 the brothers Fred and Tim Rothwell examined a Benz, and later made components for one of Edward Penningtons's Raft-Victorias. In 1901 they built the first of their own cars, a 6hp single-cylinder light car, which was followed by larger 4-cylinder models of 12 and 15hp, some of which used Aster engines. Their most successful model was the 4150cc 20hp made from 1910 to 1916. 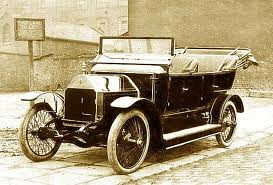 About 60 Rothwells were built, including some commercial vehicles, and most were sold locally.